Lisa Darlene Cartwright-Gillihan, 55, passed away Wednesday, February 28th, 2018. She was born November 28th, 1962 in Detroit, Michigan. She was a Christian believer. She enjoyed crafting and being a mom and grandmother. She was preceded in death by her parents, Eunice and Louise Cartwright, one son, Brandon Gillihan, and two brothers, Rodney and Bobby Cartwright. 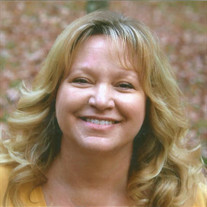 She is survived by two sons, Adam Gillihan and his wife, Julie, and Ryan Gillihan and his wife, Molly, one daughter, Hannah Gillihan, one brother, Ronald Cartwright, four sisters, Anita Wyatt, Cathy Loggains, Nelda Bennett, and Emma Gude, three grandchildren, Gabriella, Layla, and Maggie Gillihan; numerous nieces and nephews, and a host of extended relatives and friends. Visitation will be Friday, March 2nd from 9-10 AM with the funeral service beginning at 10 AM both at the Willis Funeral Service Chapel with Bro. Bobby Coleman officiating. Burial will follow at Egner Cemetery. Pallbearers include, Gannon Bailey, Justin Gude, Ian Adkins, Garrett Adkins, Peyton Worley, and Carson Worley.